Gothic castles, mystical fairytales and forested valleys. It was a rainy day here in London and my everlasting feeling of wanderlust was growing stronger and stronger by the minute. Skyscanner open on one tab and Lonely Planet on the other; thank god my managers were in a meeting...phew! "Guys I am looking at tickets to anywhere, I am free on the 3rd weekend of June, who is with me? Any suggestions?" - I text my friends. 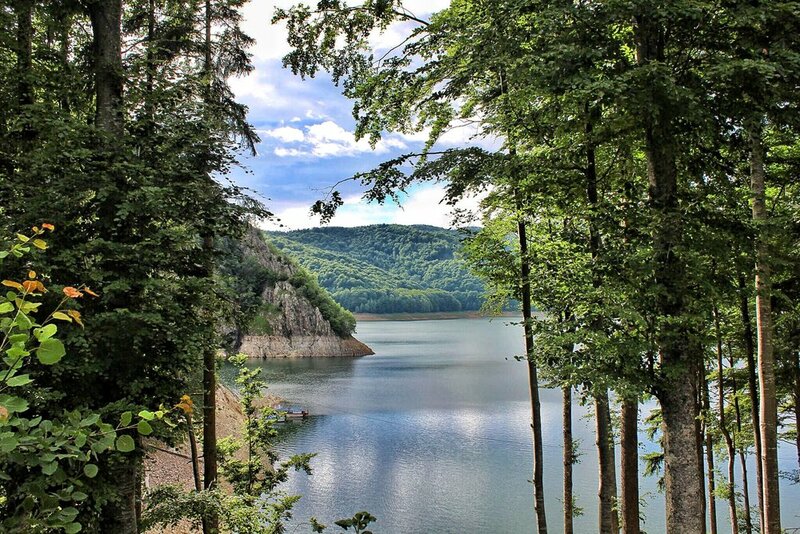 In a blink of an eye, thanks to the masterskills of Diary Wings and the magic bond that connects the #dwsquad, 8 of us are booking tickets for a weekend getaway in Transylvania, Romania. Wooohoo roadtrip yay and wow that happened so fast! I was feeling ecstatic, over enthusiastic, counting down the days and hours until my next adventure. 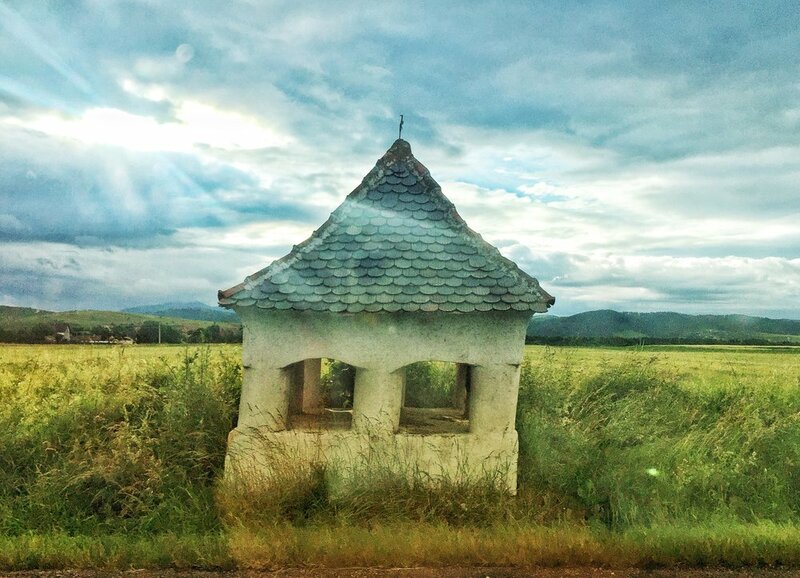 Now let's face it, unfortunately not many people (me included) know much about this beautiful medieval region of Romania, only that is home to the famous Castle of Dracula and whatever you've picked from Hotel Transylvania. 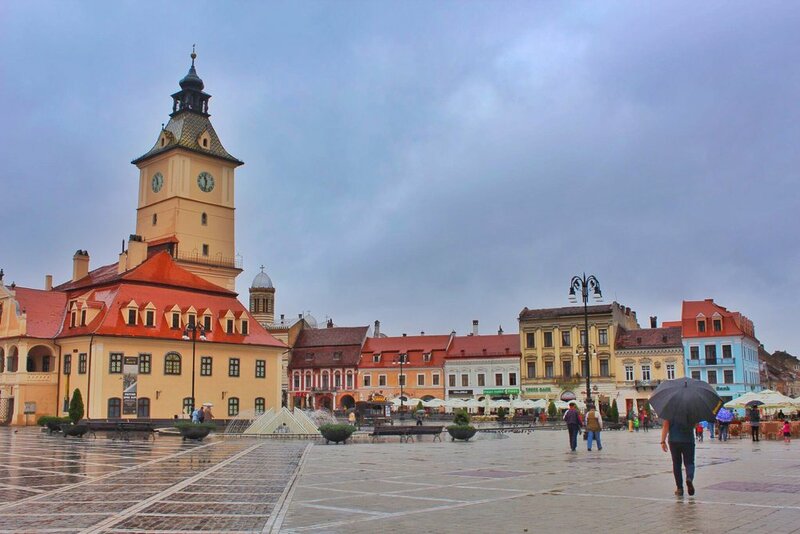 For this reason, I am here to show you the best spots of Transylvania from our 48hour roadtrip. 660km in 48 hours - that must be a record!! 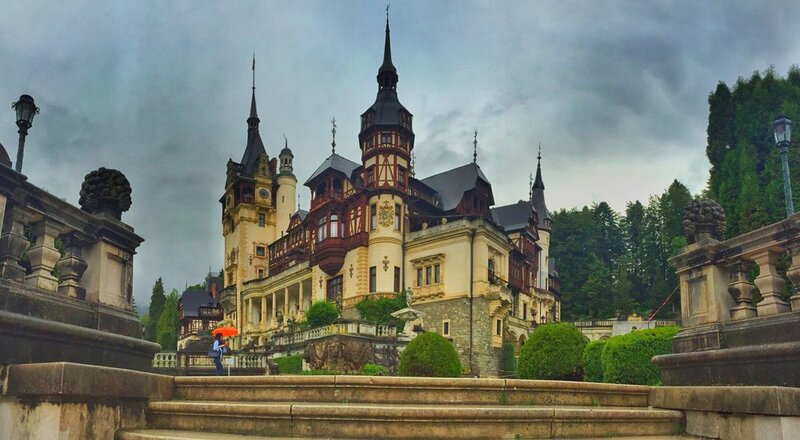 First stop of our Transylvanian adventure begins with the small town of Sinaia. 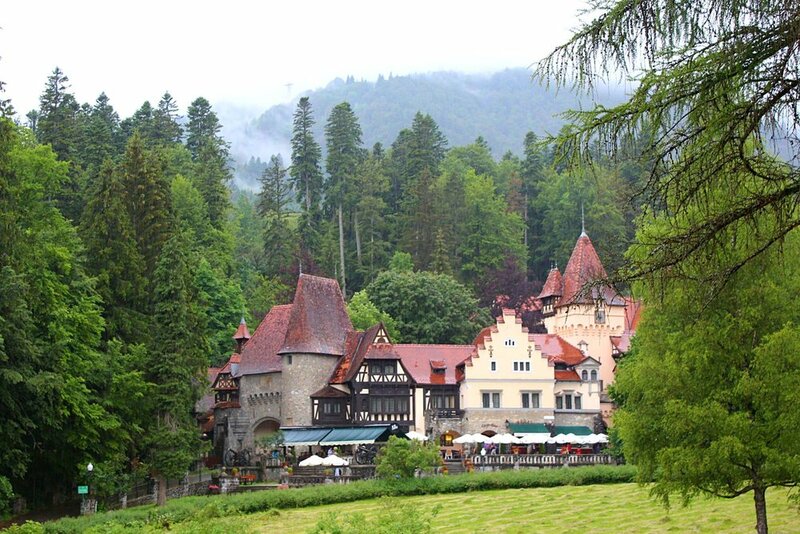 Enriched in history, it is home to the famous Peleș Castle, Pelișor Castle and Mănăstirea Sinaia. Located in the deep valleys of the Carpathian Mountains, Romanians escape to this holiday resort for the top quality spa treatments. Yes, Romania is a spa paradise - a sparadise! And did I mention, it does not break the bank?! 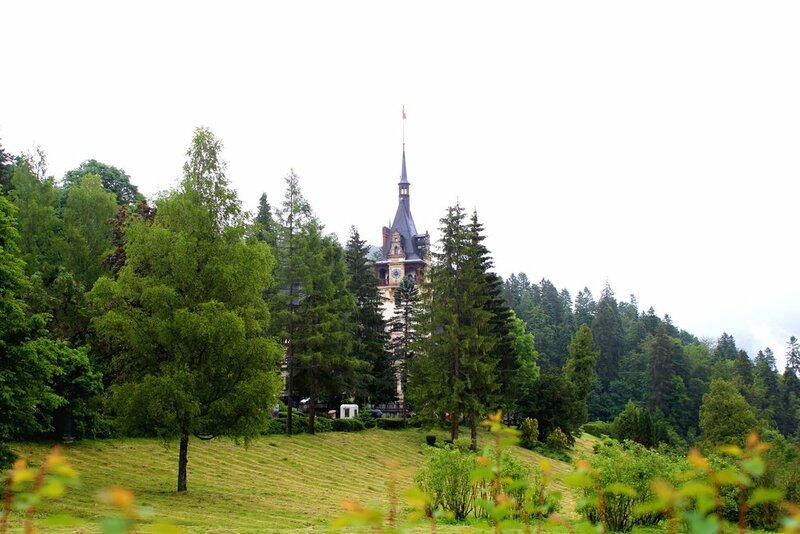 The town got its name from the Monastery Sinaia (as in the picture above) though it is most famous for Peleș Castle. King Carol I constructed Castelul Peleș as his summer house which now attracts thousands of tourists for its ornate decor and Neo-Renaissance architecture. 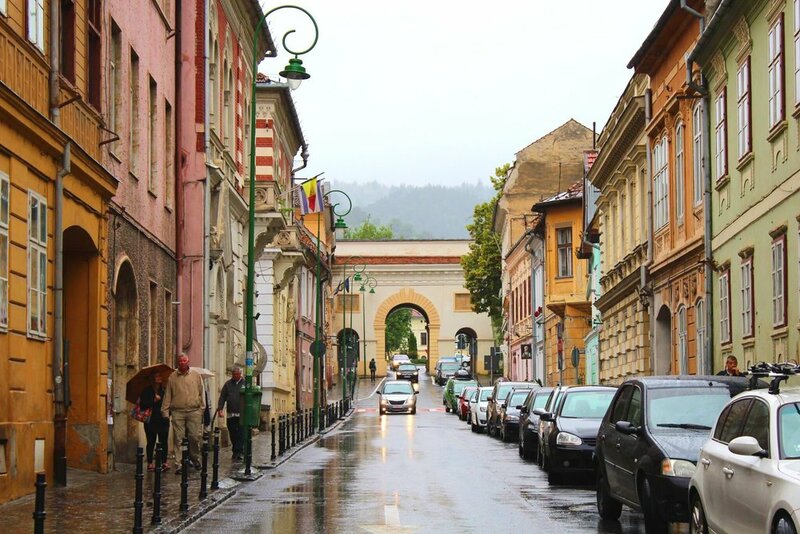 This impressive, baroque-like city is the 7th largest in Romania. 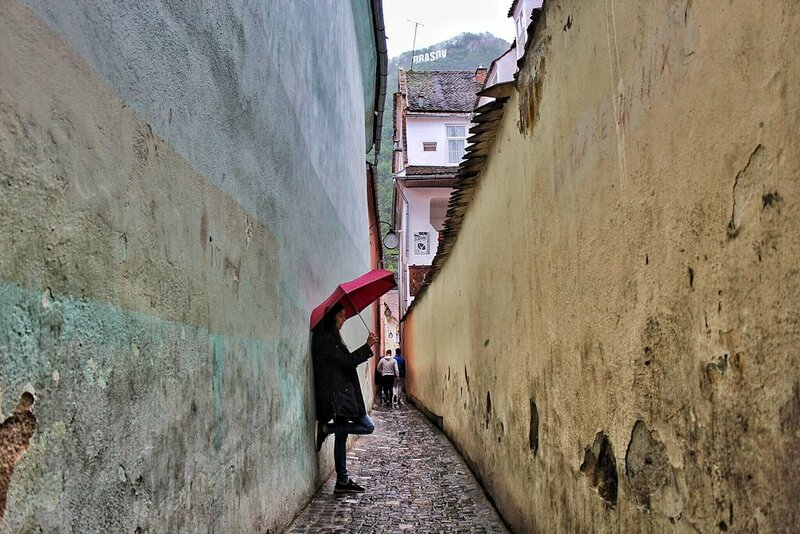 Encircled by the Carpathian mountains, Brașov's cobbled streets, gothic churches, pastel-hued buildings and easy-going cafes form a unique combination of romance versus edgy. 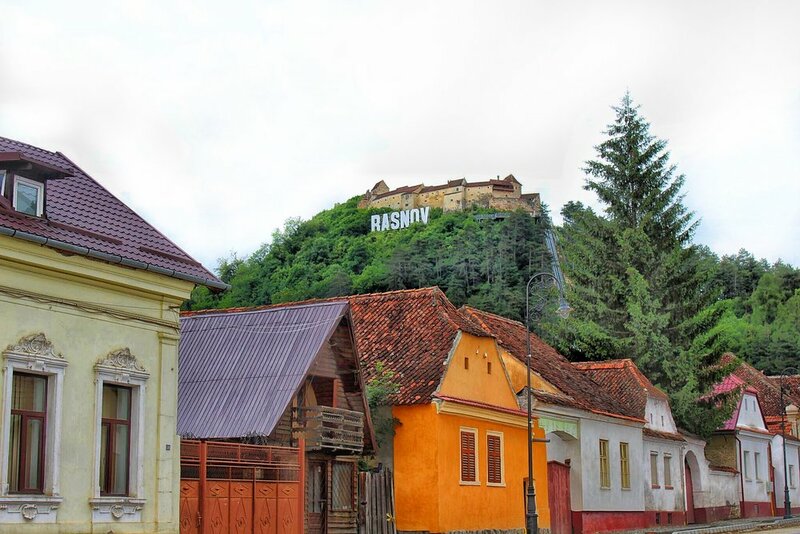 Brașov is an easy getaway to Bran Castle and Râșnov. Strada Sforri is a popular tourist attraction. 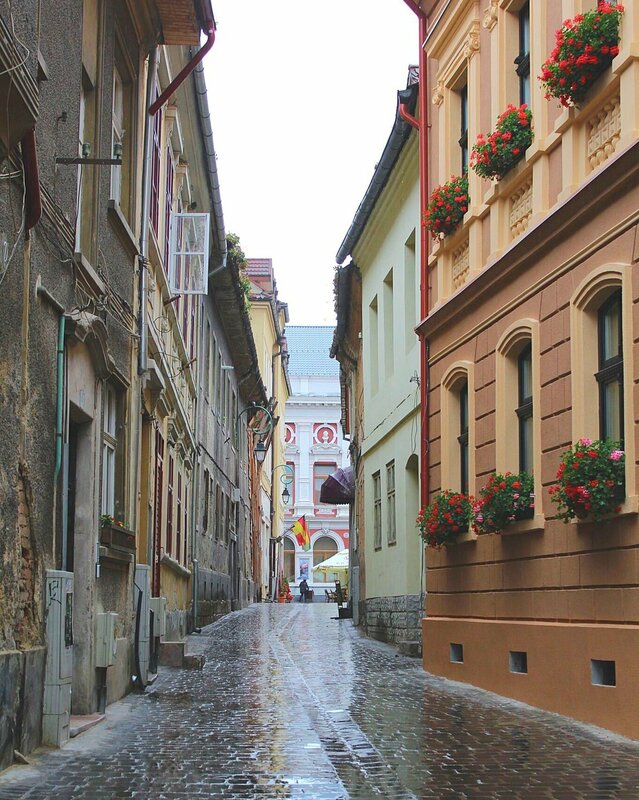 It is believed to be the narrowest street in Europe and it was built to help firemen's accessibility across the city. Out of the 48 hours we stayed in Transylvania, a proportional amount of time was spent experimenting our photography and modelling skills. Sorry boys! When thinking of Dracula's Castle, you are imagining spooky dark interior, spider webs on the corner of the ceiling, doors and windows going back and forth at the rhythm of the wind, half broken chandeliers, lit candles on a long dining table and lets not forget the coffin...ok ok I'll stop, I think I watch too much TV. Despite my imagination running wild, to my surprise Bran Castle offered none of those spooky elements. 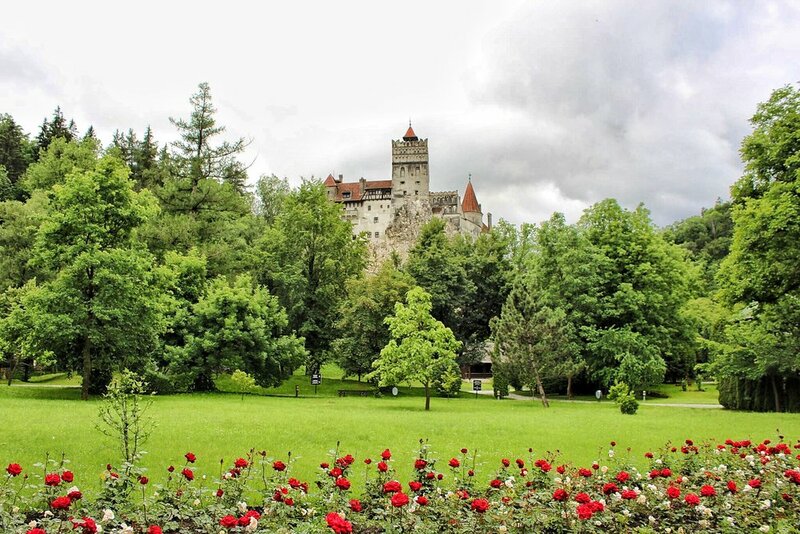 In fact, the only thing that links Bran Castle to Dracula is the synonymous novel written by Bram Stoker. Inside the castle the most exciting part is a secret passage which connects the first and third floor. We've spent most our time strolling around the market tasting local sweets. Next stop is a small monastery hidden inside a cave in the village of Şinca. Deep in the cavern you will find Romanians who have travelled miles away to pray and worship. The mysterious cave has a chimney-like opening lighting one of the nine 'rooms'. Speculations reveal that the symbolical meaning behind this chimney-like opening is that of the holy energy entering the room. Though up until this day, the mystery lies within the walls of the cave and raises a religious question as to who had built this cave. The star of David and the Chinese yin-yang are both engraved on the walls yet strangely enough no crosses were found despite its strong presence of Christianity. We've finally reached our final and highly anticipated destination, after what seemed like an eternity with countless stops for cherries, toilet breaks, getting lost and finding secret lakes on Google maps, because hey that's what a roadtrip is all about! 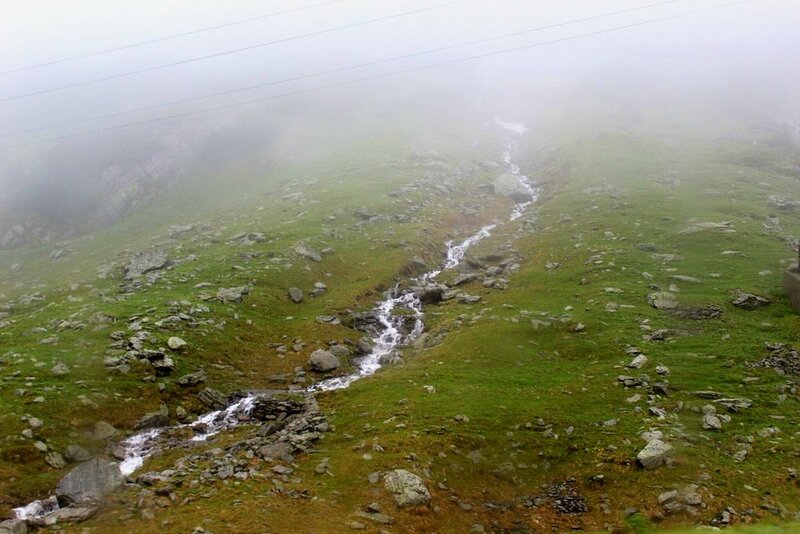 Transfăgărășan is listed as one of the world's scenic drives and is definitely a must, if you can see it...Unfortunately, our 48hour roadtrip was also a 48hour non-stop raining adventure. 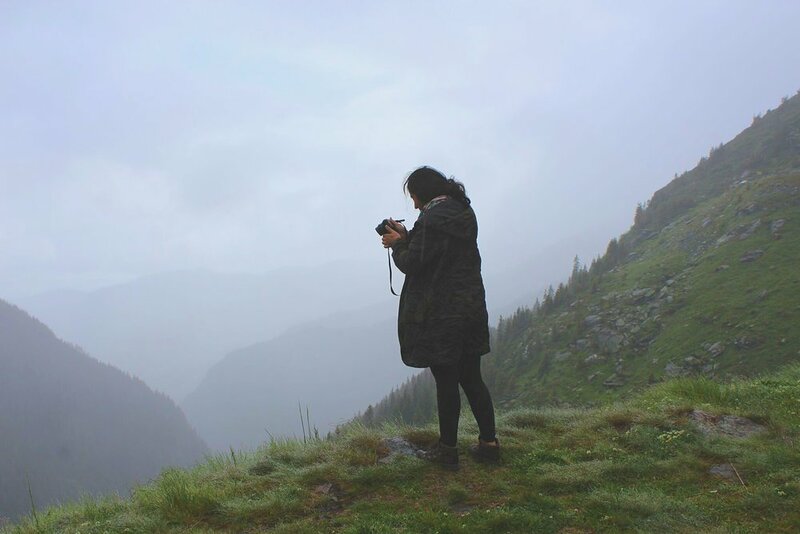 Which meant foggy windows, misty mountains and clouds everywhere, ruining every possible chance to see from above the stunning view of the paved mountain road crossing. Despite that, we were truly amazed by the enchanting views, breathtaking greenery and the vernal freshness of the land. 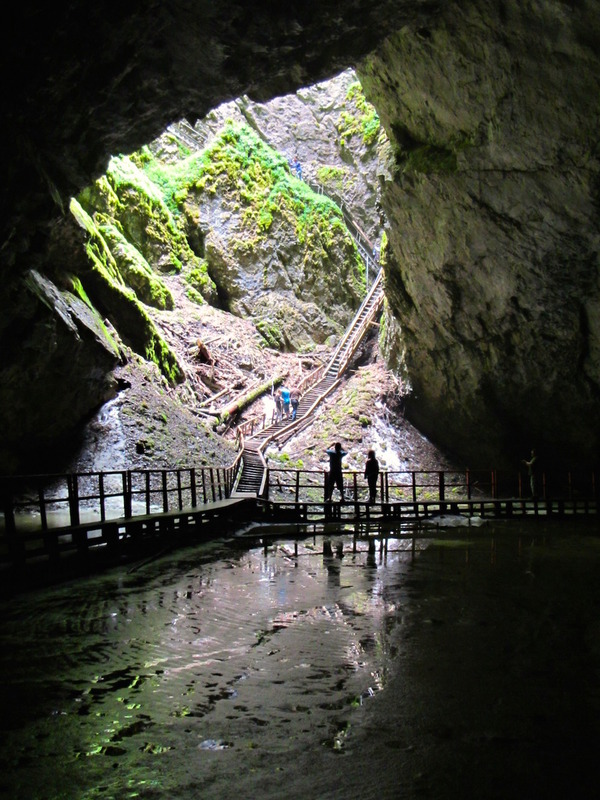 As expected, 48 hours is not enough to experience all natural wonders of Transylvania however it was just enough to spark my wanderlust, crave to explore further and visit other places like the Retezat National Park, the magnificent Scărișoara Cave and the fairytale-like Bigar Waterfall.